Illustration showing the mechanism of a spin dryer. 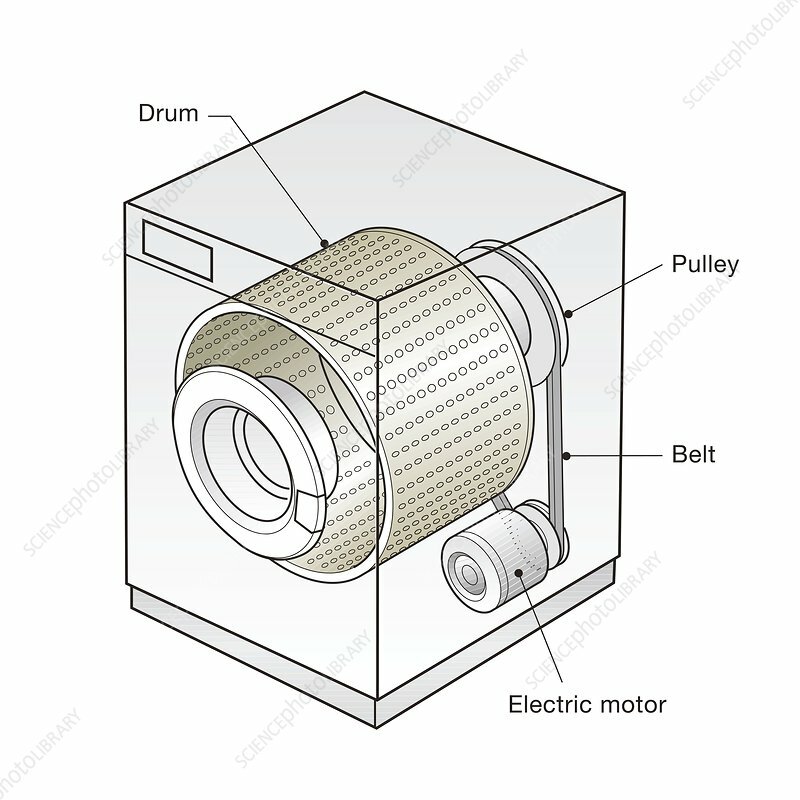 The motor drives a spinning drum, the walls of which are perforated with holes. Newton's First Law of Motion states that an object will continue in a state of rest or uniform motion in a straight line unless acted upon by a force. The inertia of water droplets means that they are propelled straight out of the holes, unlike the clothes which are trapped by the centripetal force exerted by the walls of the drum.